Upgrade to a return to base contract from the basic warranty cover. 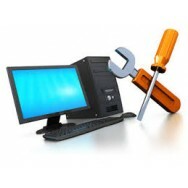 You return the faulty machine to us and we repair free of charge under contract and return to you within 48 hours. Please ask for a quote. The terms are normally based on a yearly term paid in advance.